It’s a bit of a gong show out there. Everybody scrambling to get noticed, to be heard. 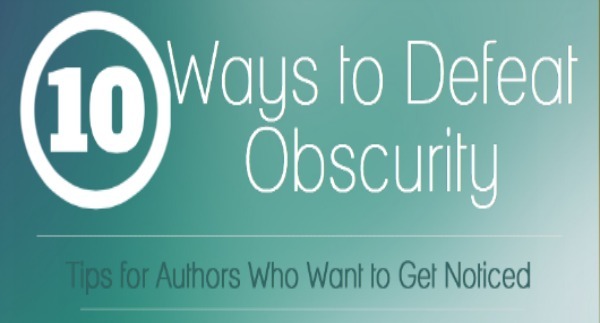 It’s particularly difficult for some writers, who aren’t known for their smooth social skills and extroverted tendencies. But there are ways to break through the bustle and noise to find those people who are truly interested in hearing what you have to say. And it can be done without the dirty feeling of hawking your wares on a crowded street corner. Below is an infographic of 10 things you can incorporate into your marketing strategy today, to begin to shine a light on your work and expand your career as an author. Any more tips on standing out from the pack? What are you doing right now that connects you to your fans in a meaningful way? Please share your comments below. I do #9 quite a bit. I always put up a few chapters of my history books on my site as I write them, and I make it clear these are chapters from an upcoming book. I’ve also got one novel listed as perma-free to attract new readers. #7 is amazingly easy for me; I get maybe 1 comment or email to my blog each week. #6 has worked very, very well for me. I started writing about topics I thought no one would care about, but instead I’ve gotten up onto page 1 of Google with many of my keywords (gold mining, mountain men, fantasy novels). #2 I’ve found that checking my analytics helps me figure out what blog posts to write if I’m unsure. There are usually a few keywords people typed in to get to my site, and some of those are not quite accurate. If a couple of those are coming in each month then it’s a good indication I should try to answer their query with a post. Sounds good, Greg! How do you feel your book marketing strategy is working? Anything you think you could add or tweak? I suppose I’ll have to jump on the social media bandwagon at some point, although it seems there’s a mixed reaction as to whether it really sells more eBooks or not. Posting on more genre-specific forums could benefit me, especially since I have quite a few non-fiction titles. Still, the prospect of creating a bunch of new accounts often dissuades me from even trying. My biggest goal now is to get a BookBub advertisement, but so far they’ve rejected all the books I’ve submitted to them. I know they’ll eventually relent and let one through the gates, however. Ha Ha! Vindication! With regard to social media, Greg, just remember it’s how well you use the tools to create engagement, not the tools themselves that really matter. As well, try not to measure everything (or anything?) that you do to build your platform directly with book sales. It’s very hard to pinpoint one thing that sells a book. It’s a combination of things or the ‘recipe’ that really makes it all come together. 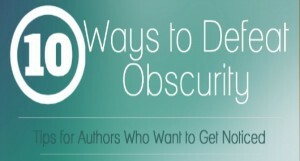 I just posted today about why fiction authors do need to blog and have websites (http://wp.me/p2IvJd-yL), and this is a great infographic that I will share with my followers and author/clients. Thanks for such a useful tool. My pleasure, Candace! Hope your readers find it useful, and I appreciate you taking the time to share it with them. Hi Kim! 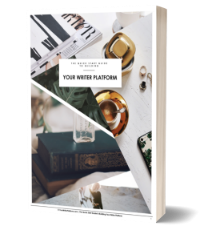 I am involved with preparing to self publish my book in the late fall and learning about building a platform from some great people and especially you. You give such excellent tips and I learn a lot from you. I only started my social presence 5 months ago and I keep learning as I go along from people like you. I try to tweet and post a lot of helpful things I’ve learnt along the way so as to help others and pay it forward because I know what it’s like to stand out in leftfield wondering where to begin. Thanks again, keep writing and I will keep posting! Also, interesting to learn you are a fellow Canadian, yes, can you almost feel autumn in the air? Sounds like you’re on the right track, so keep learning and investing in yourself. I’ll keep at it if you will! And yes I can feel the nip in the air! Boo! It always comes too quick for me (always love to hear from another Canuck, too)! Glad to see your eager, Glenn! Good luck!